This beer is pretty widely available, but I got this bottle from a friend. Poured from a 12 oz bottle into a Spiegelau IPA glass. The beer is remarkably clear, with a nice coppery/honey color. 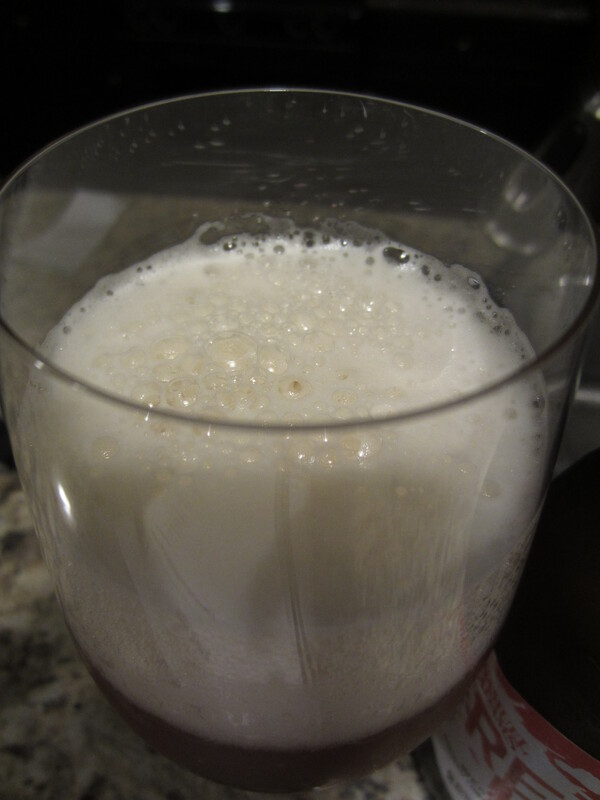 A fair amount of carbonation can be seen rising in the glass. A large, mostly white is poured, which retains decently and leaves good lacing. 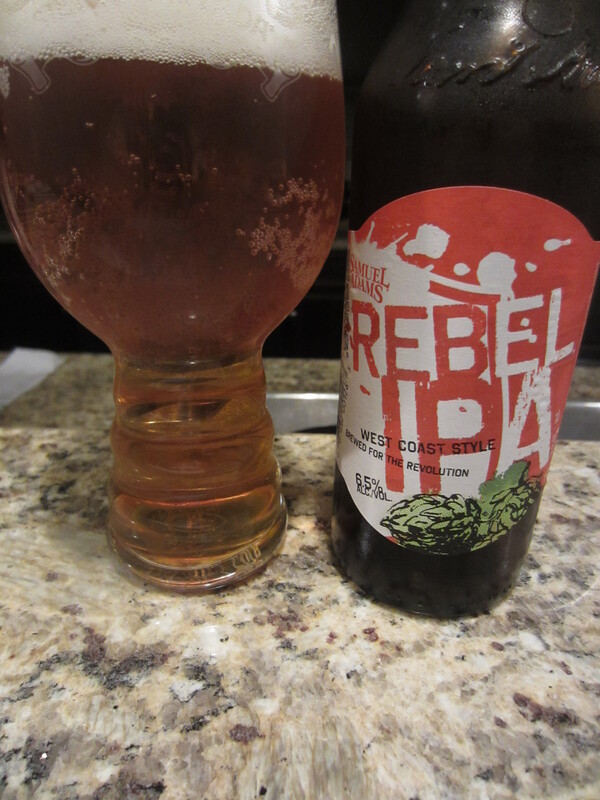 Rebel IPA has a pretty mild aroma profile, especially considering most West Coast/San Diego IPA’s are very hop forward in the nose. Understated citrus tones are about all I detect as far as hops go. Again, the style dictates ample grapefruit and some resinous pine dankiness, but that doesn’t really appear in this offering. The malt characteristic is reminiscent of a honey ale, but I also smell some fruity sweetened cereal aromas (like Crunch Berries). There is also just a faint scent of a sourness I can’t quite put my finger on. Medium-bodied and a bit harsh going down, mostly carbonation burn but some hop bitterness as well. 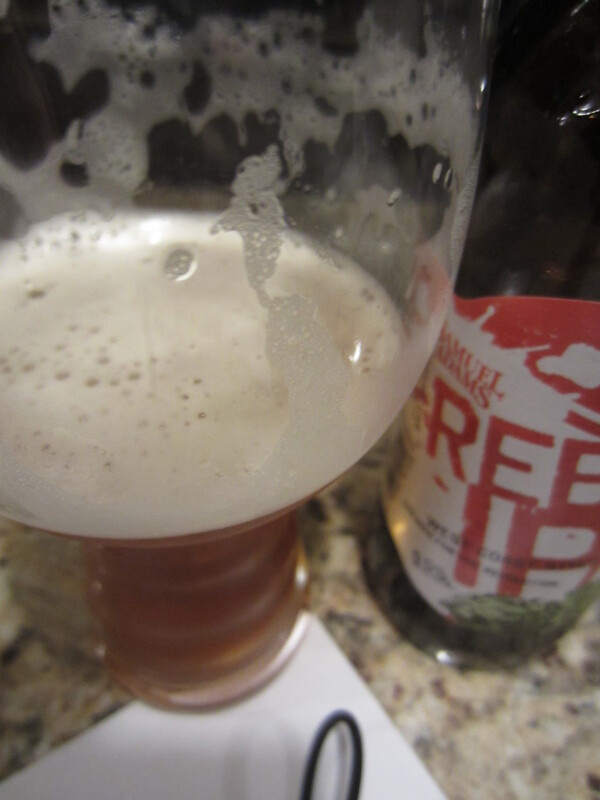 The flavors are pretty muted, beginning with light citrus hops. The slightly fruity cereal malt base balances out the relatively low 45 IBUs, but the flavor is just as subdued as in the aromas. Some floral hops come through after going down, mixing with the citrus hops and lingering on the palate. 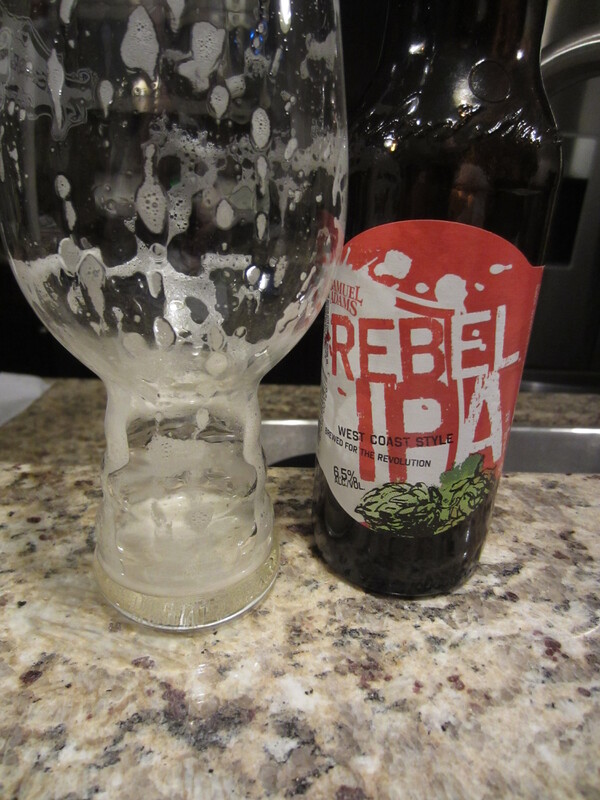 The overall profile comes across as muddled, and what is normally a very clean, distinct finish in other West Coast IPA’s just isn’t what I’m getting with this one. I nearly bought one of these last week. I’m glad I didn’t! 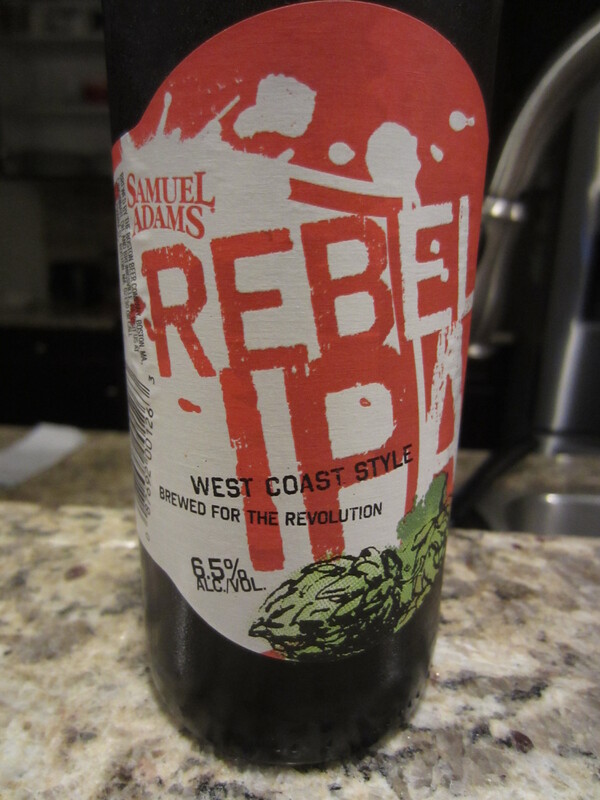 I bought a Sam Adams Tetravis instead. I really liked the Thirteenth Hour Stout, so I thought I’d give this one a try.